But still, the nWorks MP was spitting out a lot of alerts coming from Virtual Machines', like CPU and MEM thresholds. Disabling discoveries for VM's, or not? Seeing this, i thought disabling the discovery for any VM based object would do the trick. So i disabled the discovery 'SV100 first stage discovery' for the class 'nWorks Collector' and the class 'VM'. So this is really a NO NO. The 'SV100 first stage discovery' discoveres all objects and relationships. I decided a reimport would be best. I made a backup of the customizations Management Pack linked to the nWorks VMware MP and deleted it. Then i deleted the nWorks VMware MP itself. And then. Nothing.... Nothing?? Well, deleting this specific Management Pack deletes all MP related objects from the database. This resulted in locking the OperationsManagerDB for 40 minutes. After this i gave the OperationsManagerDB the necessary days to groom itself and then reimported the nWorks VMware MP and the customizations Management Pack. Why the MP still monitors the VM's, even this is disabled through the nWorks Management Console, that's the question. I will follow up on this one. Thought this info could be handy for some situations.
" This can be configured through the nWorks Management Console. It's just a mather of deselect the checkboxes for VM's." I am not sure if one could disable VM monitoring from the Nworks console. One would need to go to the scom console to disable this for VM's. Only the ESX hosts can be managed from nworks console. Great blog! You may want to check out our nworks MP Operations Guide. On page 11 it discusses what you need to do in order to remove the VMs from the initial discovery. This is in addition to unchecking monitoring for the VMs in our nworks Management Center Console (which you have already done). 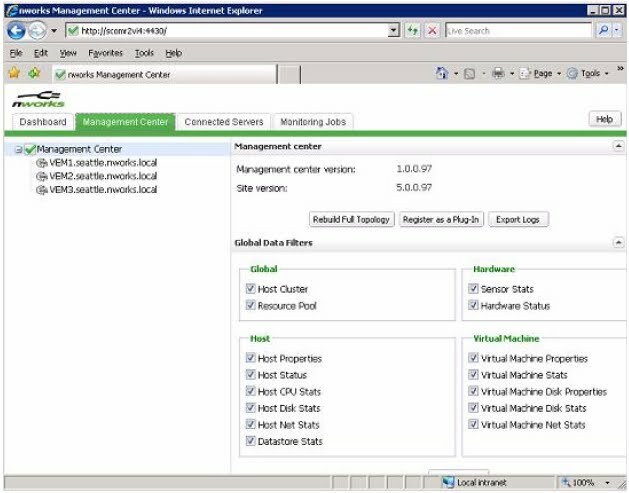 Please note, however, that there are metrics and alerts that our nworks Management Pack gives you for the VMs that a SCOM Agent in the VMGuest OS does not give you. Metrics on memory ballooning and cpuReady as well as vCenter alerts such as HA or vMotion failures, etc. Some things to think about! If you have any questions feel free to contact me or post on our forums at www.veeam.com! 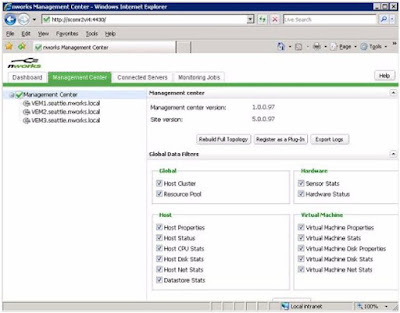 @Sameer, the Nworks Management Center console gives end-users the possibility to enable/disable filters for data types. data storage space, etc. ), certain classes can be turned off using the Data Filters check boxes. I added a screenshot to the blog post.